The new year is prime time for job seekers, as it is known to present the most job openings. 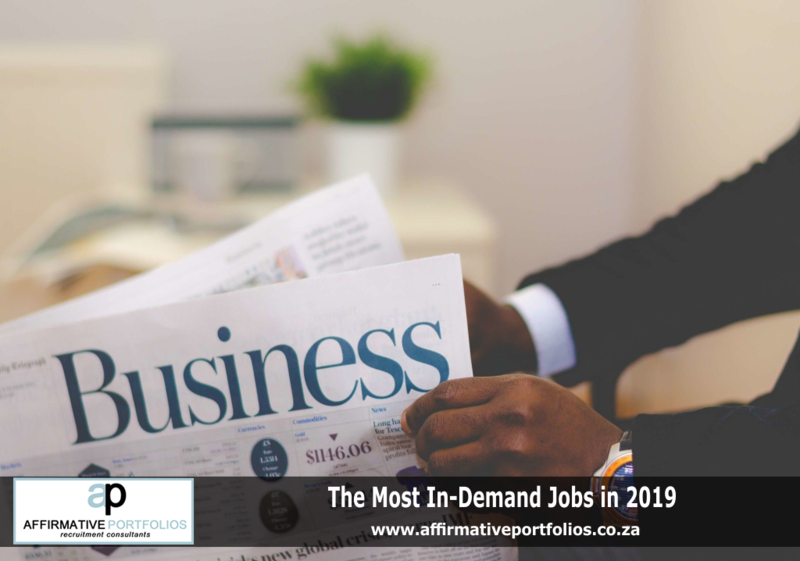 Here, Affirmative Portfolios has compiled a guide to professions that will be in high demand among employers in 2019. At the end of last year, the Department of Labour released its job opportunities and employment report. It was based on more than 48 309 online and newspaper job vacancy advertisements over the course of the 2017/18 financial year. Accountants are also typically in charge of managing tax returns. As well as coding, the role involves setting up tests to ensure the site or app is functioning properly. As a data analyst, you’re responsible for analysing a company’s data and looking at how it can be exploited. In essence, a data analyst’s job is simply to translate numbers into plain English. The main responsibility encompassed within this role is to assess and monitor a company’s financial health. Financial Planning and Analysis Managers often look at various indicators when establishing a company’s financial situation, such as debt and equity. GDPR (General Data Protection Regulation) project managers are responsible for ensuring a company is in compliance with the new GDPR rules. While salaries vary depending on training, experience, type of business or competition, professions that are in high demand often allow candidates to negotiate good salaries. Furthermore, the trend confirms that the main economic sectors have sustained employment creation during the department’s reporting period.